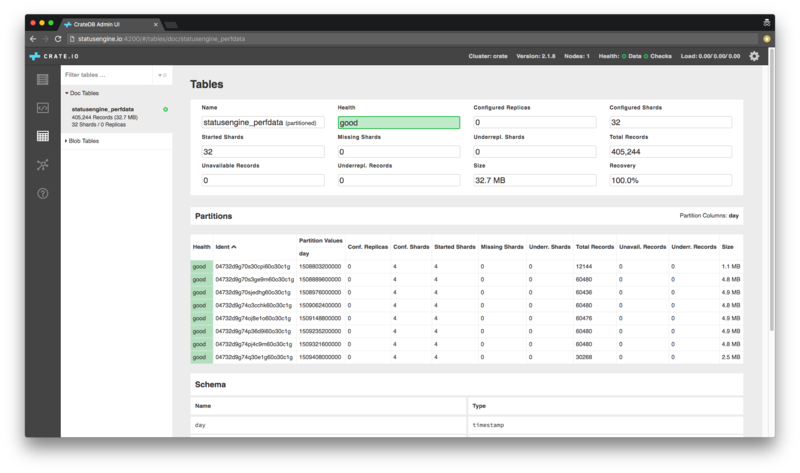 In this tutorial, we are going to configure your system, to store Nagios and Naemon Performance Data into an CrateDB Cluster. 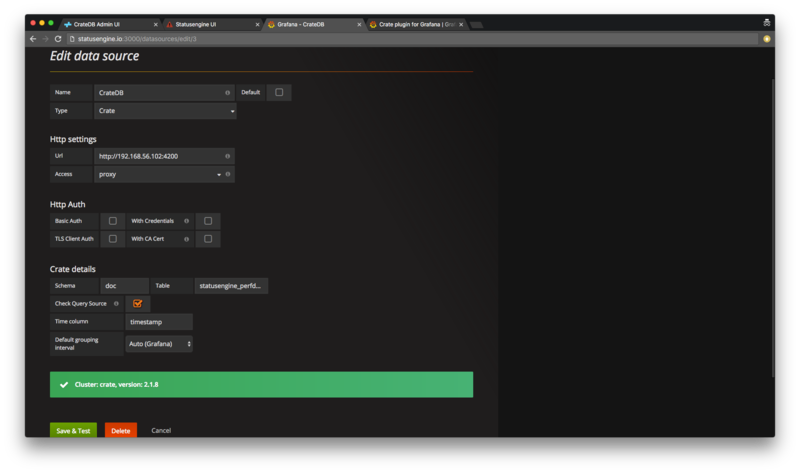 CrateDB - If you don't have CrateDB installed yet - follow this guide. # WARNING: Do not set use_crate and use_mysql to 1 at the same time! # This is an array of cluster nodes. 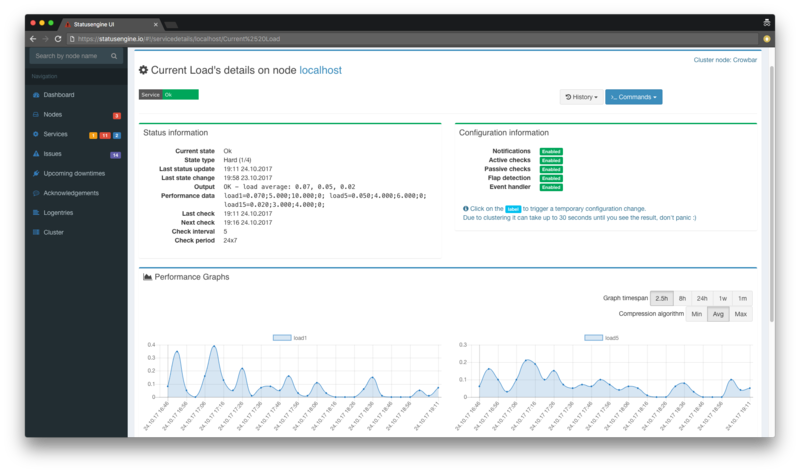 # It is recommended to you a load balancer in front of your CrateDB cluster! Even if you set use_crate=0, because you don't want to use CrateDB as Storage Backend for your status data, you can still use it to store your performance data into it. 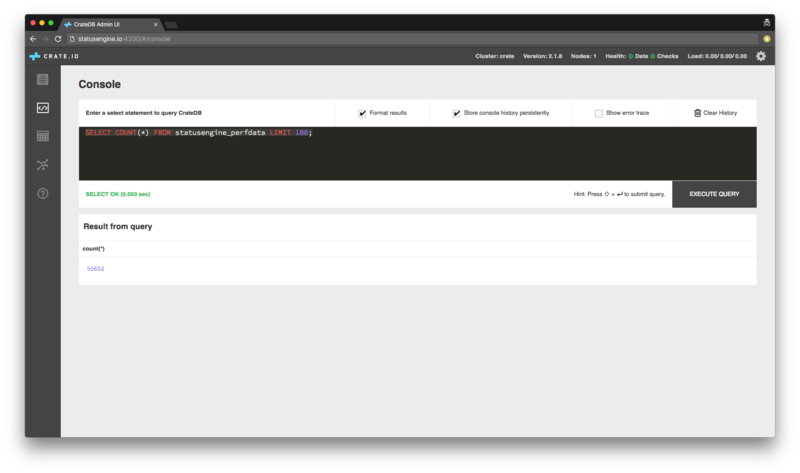 Statusengine Ui is able to render basic performance data, from an CrateDB data source. Even if you set use_crate=0, because you don't want to use CrateDB as Storage Backend for your status data, you can still use it to query your performance data. 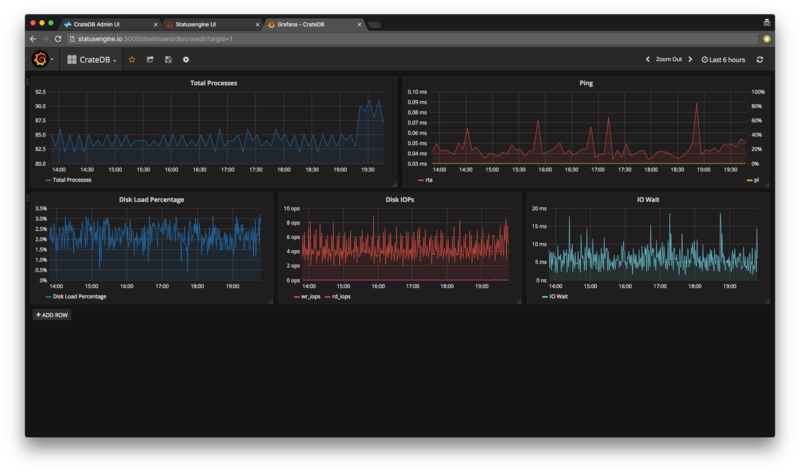 Once performance data gets stored to CrateDB, you can also use Grafana to build up own dashboards. 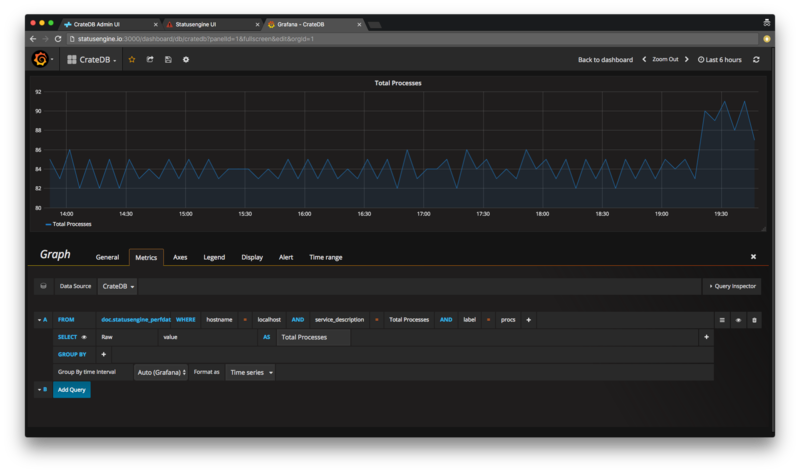 First of all, you need to install the Crate Grafana Plugin. By default, CrateDB will create a new Partition in the table statusengine_perfdata for every day. The Statusengine Cleanup Cronjob will delete partitions, that are older than age_perfdata. age_perfdata is set in days.